Having grown by 3.3 per cent in 2018, and clinching the top spot when it comes to digital economy competitiveness in Asia according to Asia News Network (ANN) and DataLEADS, Singapore is now confronted by the need to inspect: what more can we do to support our digital economy? Ushering into 2019, we find SMEs and startups at the forefronts of this race to bolster and embolden Singapore’s digital economy, which is why the predominant sentiment being echoed across the startup ecosystem is for new government measures to support tech adoption. In an opening address at imbX 2017, Minister for Communication and Information, Dr. Yaacob Ibrahim, highlighted that in order to move forward with Singapore’s digital economy, efforts have to be anchored primarily on four key areas: artificial intelligence, immersive media, internet of things, and cybersecurity. As Singapore’s digital economy continues to boom, how else can SMEs and startups get a leg up and what do they want to see in Budget 2019? According to Singapore Business Federation’s (SBF) latest National Business Survey, more than three-fifths of firms surveyed concurred that they want more support for new and critical technologies for the Singapore Budget 2019. The general budget wish list that resonates among Singapore business owners’ is composed of a relook of foreign manpower quotas (53 per cent), support for digital transformation (49 per cent), foreign work levies (45 per cent), and lower compliance costs and regulatory fees (42 per cent). On the other hand, SMEs believe that more favourable financing mechanisms that buffer business fees and rising interest rates will greatly benefit them. However, while many business owners’ see compliance costs as a top challenge for business in Singapore, SBF is now working closely with the Pro-Enterprise panel to work out solutions in order to streamline regulatory requirements and reduce compliance costs for businesses. Although recent years have ushered in a promising future for Singapore, and regionally for the ASEAN and the rest of Asia, it must be noted that smarter choices have to be made in order to fully utilise this momentum. In order to meet these challenges head on, the need for smart decisions have to be collectively made by all stakeholders in the equation, from policy makers down to business owners. “Policy measures by the government to provide greater support for companies in the development of their capabilities and in their internationalisation efforts would likely yield positive outcomes in the mid to longer-term,” said DBS economist Irvin Seah. This is why businesses generally believe that Budget 2019 should aim to help the economy navigate global uncertainties by boosting innovation, promoting internationalisation, and improving worker skills. With the Singapore Budget announcement happening on 18 February, Xero has invited a panel of experts to discuss the implications of newly-announced government initiatives and what it means for businesses in 2019. 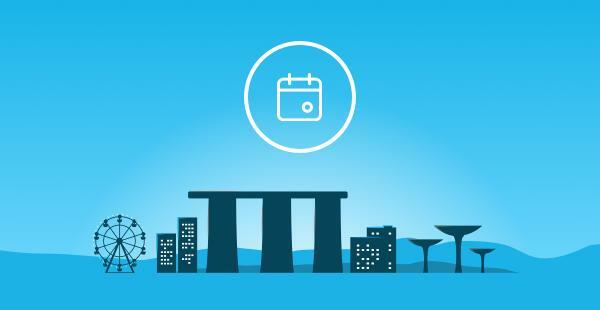 Taking place on March 1, the Xero Community: Budget Edition will tackle the 2019 Budget and what it means for businesses, Singapore’s economic transformation and opportunities in the region, and how small businesses can leverage banks and third parties for success. Xero, a global small business platform, invites small business owners and startup entrepreneurs who are interested in understanding Singapore Budget 2019 to join the event. Seats are limited and are on a first-come-first-served basis. Register and secure your seat to Xero Community: Budget Edition today! The post Deciphering Singapore Budget 2019 for founders and business owners appeared first on e27.